Pete Rose played 24 seasons in the majors taking the field for the Cincinnati Reds (1963-78 & 1984-86), Philadelphia Phillies (1979-83), and Montreal Expos (1984). Rose was a 17x All-Star, 3x Batting Champ, and was a member of 3 World Series Championship teams. 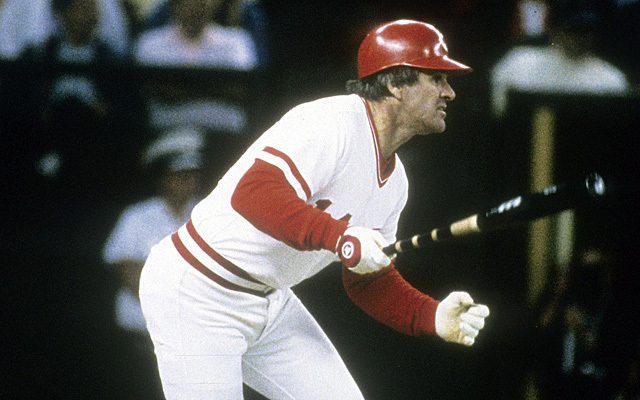 Along the way Rose also picked up more hits than anyone else in the history of baseball. Rose swung this bat during the 1985 season which saw him bypass Ty Cobb for most hits all-time. 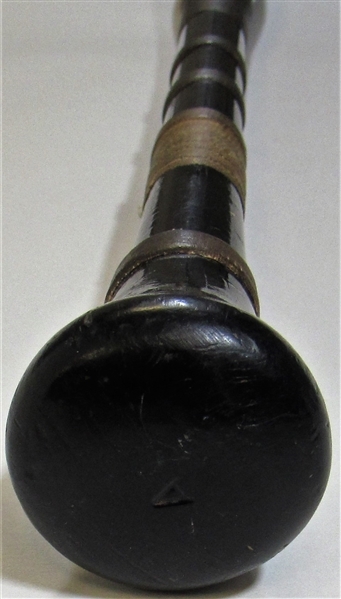 The bat shows outstanding use and had a slight handle crack. 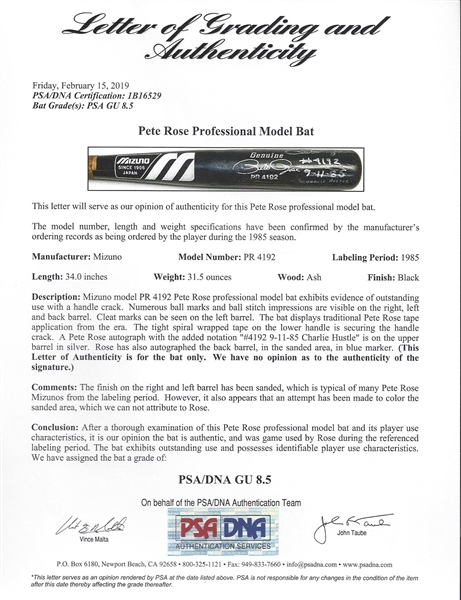 Rose has added his signature twice to the barrel with the added inscriptions "4192" " 9-11-85 " and "Charlie Hustle". 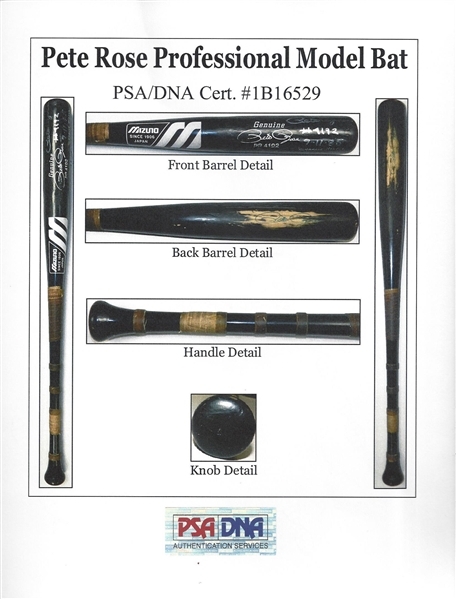 Outstanding signed game used bat from baseballs Hit King! 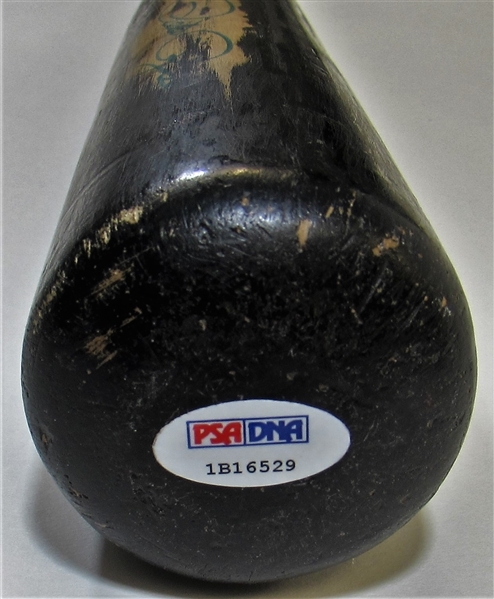 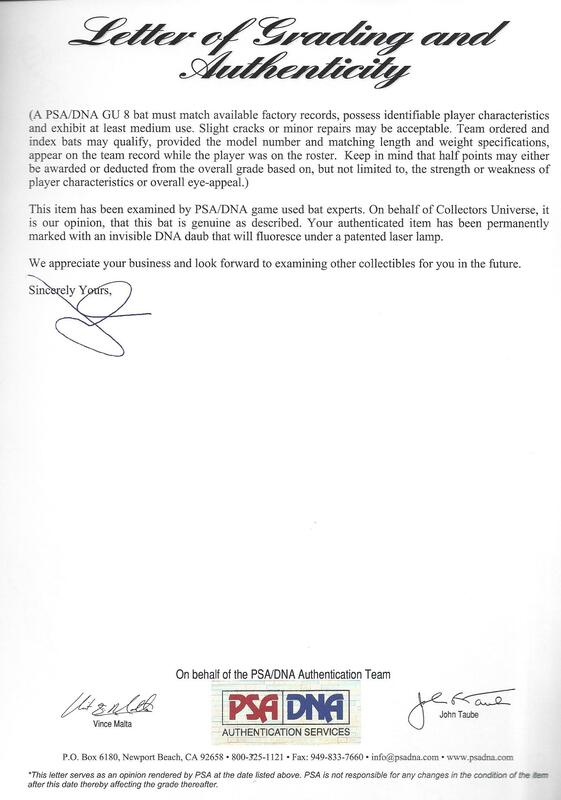 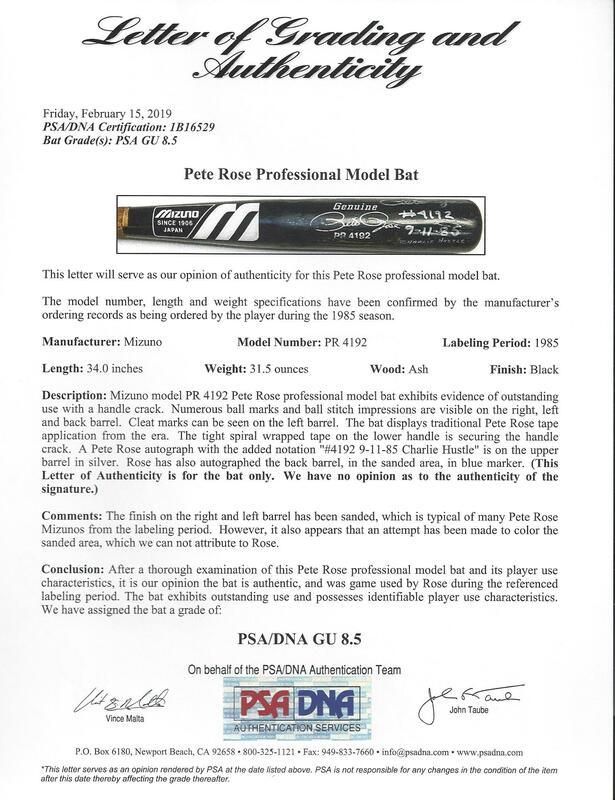 PSA has assigned this bat a grade of 8.5.